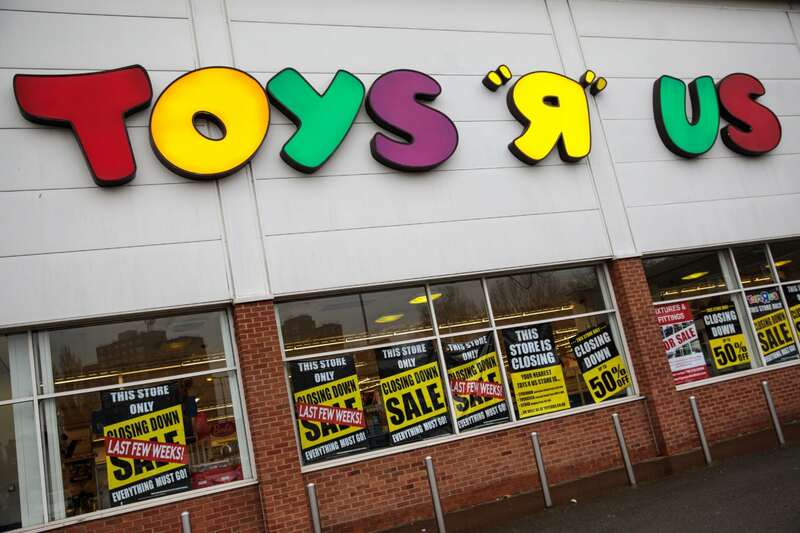 If “I don’t wanna grow up, I’m a Toys ‘R’ Us kid” was the theme song to your childhood, then there may be good news on the horizon: The Toys “R” Us bankruptcy has been cancelled and the brand will be revived. The same group of hedge funds that originally chose to shutter the popular toy store chain over billions of dollars in debt are now planning to revive the Toys “R” Us and Babies “R” Us brands, according to The Wall Street Journal. An auction was originally organized in order to sell off Toys “R” Us-specific intellectual property: brand names and registry lists, as well as its beloved Geoffrey the Giraffe mascot. Many bidders were interested, but those potential bids were found not to “yield a superior alternative to the plan,” according to court filings. This pivot would give the company a chance to relaunch their stores and keep those assets intact. After more than 60 years in business, the toy store filed for bankruptcy protection in September 2017 and filed for liquidation in March — a sign it planned to close its doors for good. Over 700 Toys “R” Us and Babies “R” Us locations welcomed their last customers as June of this year came to a close. The bankruptcy put about 33,000 employees out of work and many of them have fought for severance pay. Of course, the bankruptcy news didn’t come as a total surprise. After leveraging a buyout in 2005, Toys “R” Us had been carrying the weight of billions of dollars in debt and struggled to turn a profit for years. The retailer also had a difficult time competing with big box stores like Walmart and Target, which also sell toys and baby items, as well as the rise of online shopping through Amazon.com. While details have not yet been solidified, USA Today reported that plans to reorganize the company are being drafted out of the Toys “R” Us headquarters in New Jersey.